Dr. Dionne Wright Poulton is an Educator, Diversity and Inclusion Consultant and Conflict Mediator with 20 years of experience specializing in youth and adult education, adult learning and behavior, intercultural dialogue, and addressing and mitigating bias in the workplace. 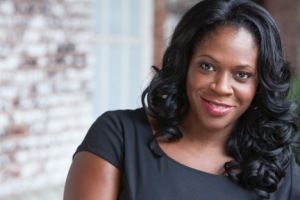 A graduate of the University of Georgia where she earned a Ph.D. in Adult Education, Dr. Poulton was granted permission by UGA to use her professional development workshop she created in 2004 called Think You Are An Unbiased Teacher? Think Again! as the basis for her dissertation. As a result, Dr. Poulton acquired empirical evidence to prove the efficacy of her workshop’s methodology (she created), and its ability to initiate and sustain open and honest dialogue across racial, gender and cultural lines, in a non-threatening manner. Since 2004, Dr. Poulton has been invited to facilitate her workshops all over the world, including in Paris, France, Canada, Bermuda, and across the United States. Dr. Poulton’s work has also been advertised on CBS radio stations in Atlanta, Georgia where she has also been invited as a guest speaker and commentator. 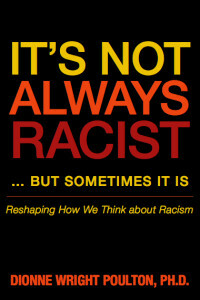 Additionally, Dr. Poulton is author of the acclaimed book, “It’s Not Always Racist…but Sometimes It Is” – which has received incredible attention, including an outstanding review from world-renowned Kirkus Media. This book is an extension of Dr. Poulton’s PhD research and her experiences as an educator and professional trainer of employees in academic and business environments. 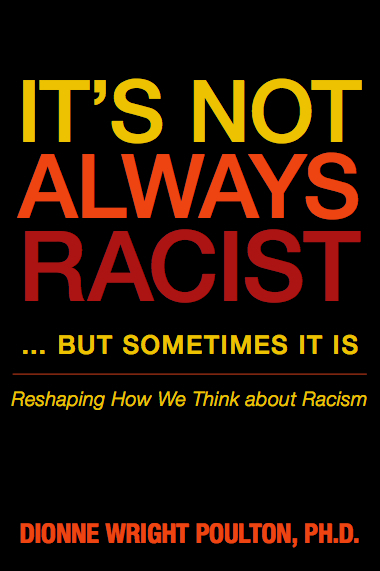 In her book, Dr. Poulton stresses that there is a fundamental difference between racism and racial bias, and argues that it is normal for ALL of us to “judge” others based on race. However, this does not mean we are all racist. Like race, it is normal to also judge based on other factors such as age, height, weight, beauty, ability, or disability, but when our sometimes negative assumptions, perceptions and expectations go unchecked, we find ourselves in trouble. Dr. Poulton has been invited to discuss her groundbreaking book on several radio shows across the US, including on Tavis Smiley’s radio show. Dr. Poulton is also a certified K-12 teacher and adult educator with 20 years of cumulative teaching, administrative, and curriculum and course design experience in public and private high schools, in universities, and for State and provincial governments in the US and Canada. She has also previously worked with street youth in emergency shelters, and has almost two decades of experience coaching track and field in high schools and in universities. In addition to her PhD, Dr. Poulton also holds three other professional degrees, including a Master of Arts Degree (M.A.) in Administration and Interdisciplinary Studies in Adult Education with special emphasis in Equity and Social Justice from San Francisco State University, a Bachelor of Education Degree (B.Ed.) from the Ontario Institute for Studies in Education at the University of Toronto (OISE/UT), and a Bachelor of Arts Degree in Kinesiology and Health Sciences from Rice University in Houston, Texas where she earned her degree while competing as an NCAA Division 1 track and field scholarship athlete. Dr. Poulton, nee Wright, is originally from Toronto, Canada and is a former member of Canada’s National Track and Field Team. She is an exceptional leader with an international perspective, and an uncanny ability to reach and teach all people regardless of any difference. With ease, she can encourage the most quiet and reticent to speak up, while convincing the most defiant and obstructive to get on board. Because of her vast experience and education in many different industries, including academia, K-12 schools, sports, non-profit, and government, she is well positioned with her experiential knowledge to understand and solve any challenges. Dr Dionne Joins Mobius Executive Leadership – click for more info.